← Links of Interest: This Week’s MTA Torture Session, Today’s Muni FailWhale Regatta, and more! Inner Sunset Park Neighbors Clean Up Day March 20th! 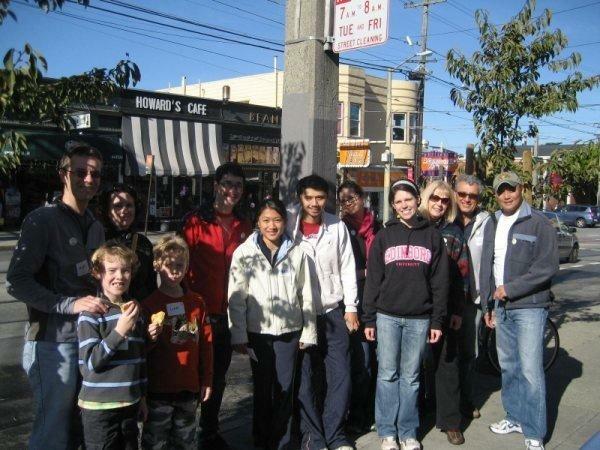 Please join us for the third Inner Sunset Park Neighbors’ (ISPN) Sidewalk Sweep! We’ll be tackling trash and graffiti throughout the neighborhood. This represents the third clean-up supported by the ISPN and by the Department of Public Works and Supervisor Ross Mirkarimi. The Inner Sunset had approximately 120 volunteers at the November event (pictured here). Volunteers tackled nearly 60 blocks on which they picked up trash, painted graffiti, and removed old signs and tape from public spaces. Volunteers are needed to make the March Sidewalk Sweep a success. Breakfast and cleaning supplies will be provided for all volunteers. Children who volunteer will receive a certificate of participation. You’ll also have the opportunity to sign up for the ISPN and to join the city’s 311 graffiti program if you haven’t done so already! The clean-up will be followed immediately (at 12:00) by a free barbecue at the Blackthorn at 834 Irving (between 9th and 10th Avenues). Please help make this clean-up the best yet! RSVP via email to tenpiecesoftrash@gmail.com.